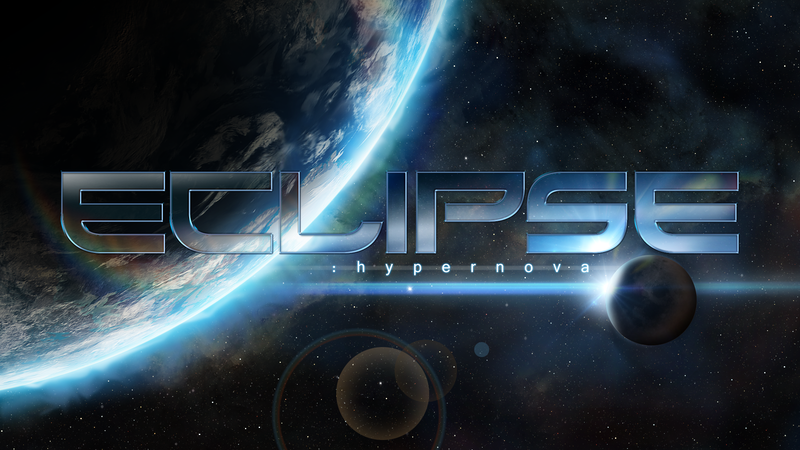 Alien Invention is proud to announce Eclipse: Hypernova is a reimagining of the award winning mobile game Eclipse: First Wave which was released in 2004 on the Windows Mobile platform. Recreated from the ground up Eclipse:Hypernova features stunning high resolution hand drawn graphics running at a smooth 60 frames per second, quite different to the 176 x 220 pixel resolution of the original mobile game. Fly through levels both in the style of the originals such as the asteroid field and the junkyard, but much improved to take advantage of the latest hardware; and also new levels specifically created for Eclipse: Hypernova. Collect power ups to upgrade your weapons and shields to aid you as you shoot and dodge your way through each level destroying wave after wave of enemies and bosses. Seven main levels and 3 sub-levels await, so jump back into the cockpit and fight off the alien threat, have you got what it takes? Platforms to be announced at a later date. This week is the first time one of the bosses has been shown. This is the boss from the end of level one and goes through several phases. What you see here is the bosses first phase, I will show further phases in future images/videos. Most Sundays from now until launch I will be adding a new screenshot to the Gallery. This weeks screenshot is from one of the later levels in the game that sees the ship flying through crystalline like structures and caves.